Hopefully you’re all out enjoying your Labor Day. 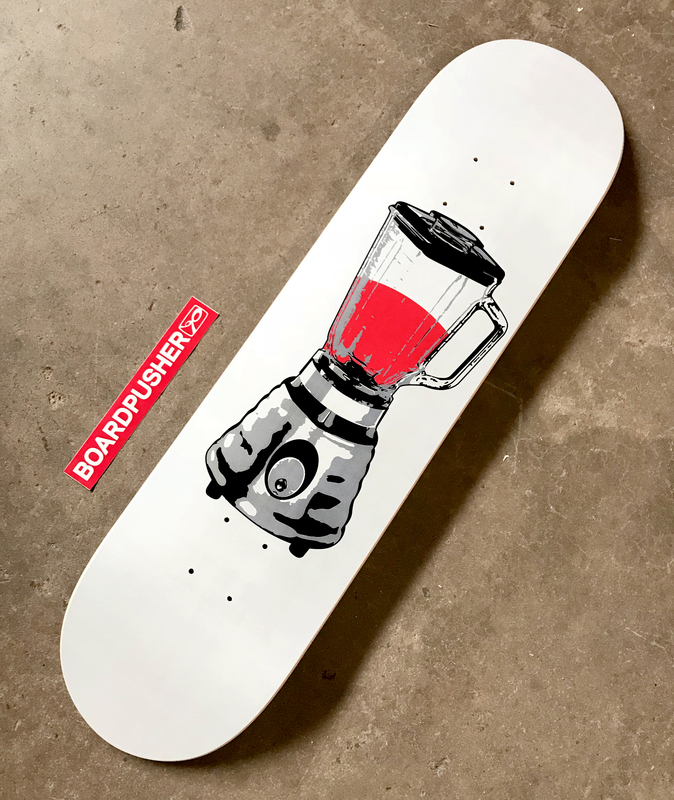 Some of you may be doing so with a cold one, so we thought a BoardPusher.com Featured Deck created by a brewery would be good for today. New Park Brewing seems to always create a new skateboard graphic to match their tap list and this board goes along with their Blender Apricot Berliner Weisse. Find out about New Park’s beer at newparkbrewing.com or grab one of their skateboards at BoardPusher.com/shop/npbskate. Whatever your favorite things are BoardPusher.com makes it easy to put whatever your heart desires on a custom skateboard deck.